Professor Alan Barrett has been appointed as the new Director of the Economic and Social Research Institute. 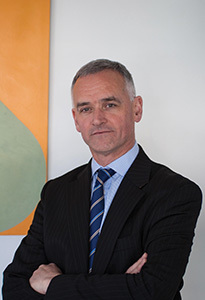 Barrett is currently Head of the ESRI’s Economic Analysis Division, an adjunct Professor of Economics at Trinity College Dublin, and a member of the Irish Fiscal Advisory Council. He previously led the Irish Longitudinal Study on Ageing at Trinity and also worked at the Department of Finance.